Roth Introduces New Flavored Raclette Cheeses! Do you like melty cheese? I sure do. 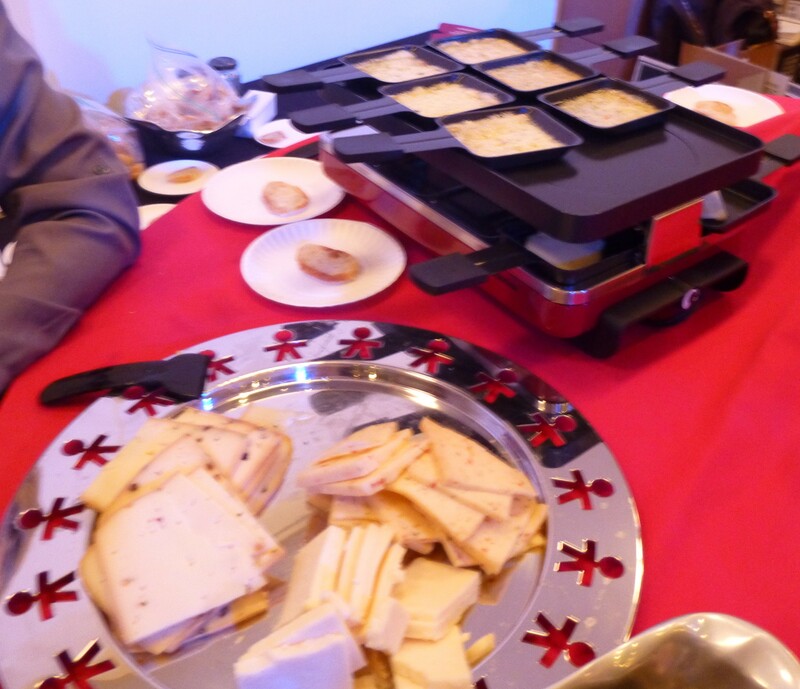 You might recall that back in February I attended the Winter Food Fete, where I was introduced to Roth Raclette cheese, and thus began a new love affair with most delicious melty cheese I have ever tasted. 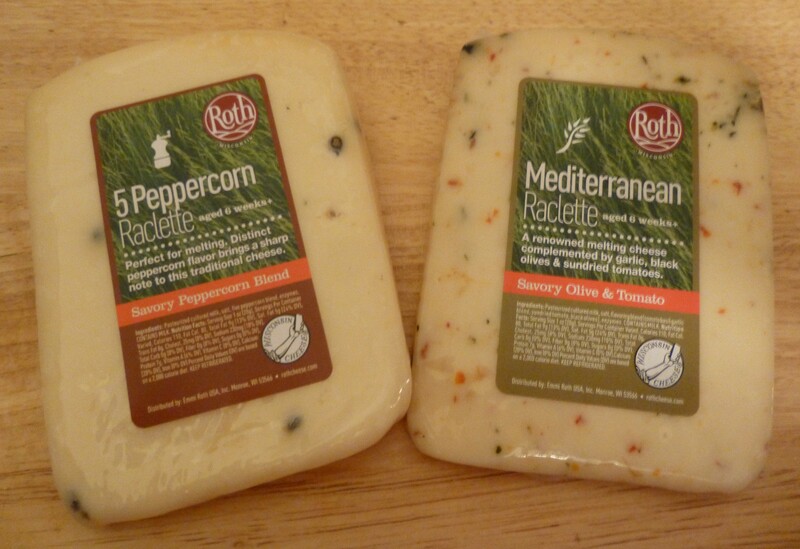 In addition to their original, Montanella Raclette, Roth has introduced three new flavors this Spring, including Mediterranean – with garlic, black olives & sundried tomatoes – Five Peppercorn, and Roasted Garlic. Holy Cows Milk! Here’s a bit of insight as to why Raclette is such exceptionally delicious cheese: by combining Swiss traditions and the finest Wisconsin milk, Roth creates each flavor variety of Raclette cheese – which is characterized by a firm texture, pale-yellow color and scattered small openings. Roth Raclette has a mildly nutty and distinctive, aromatic flavor that intensifies when heated – which makes Raclette ideal for melting. At Food Fete, Roth Cheese Representatives served samples of the Raclette is its meltiest state, on small rounds of bread after heating it briefly in tiny iron skillets. Seriously, it was cheese heaven. Obviously, I asked to receive samples to review for the blog, and they were happy to oblige. 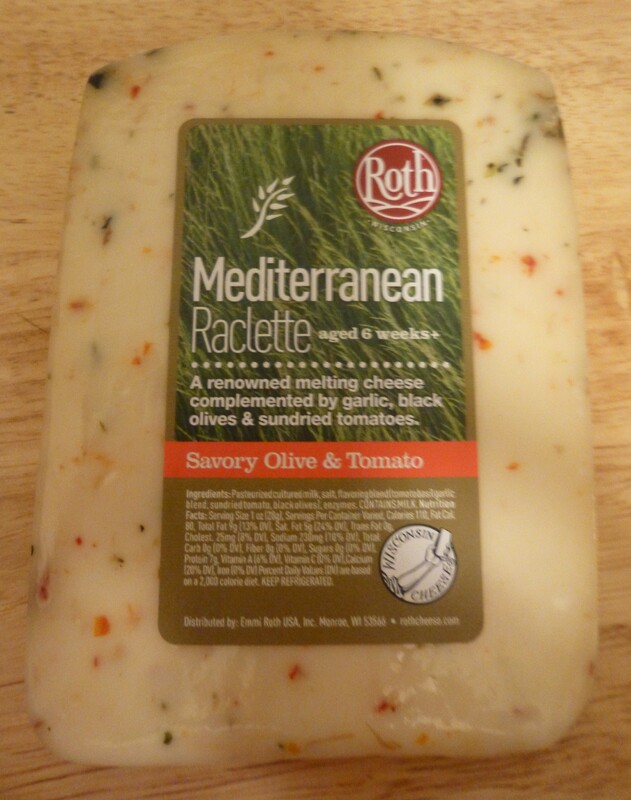 Over the past weeks I have been especially enjoying the Mediterranean variety, as I find that the addition of Olives and Sundried Tomatoes enhances some of my favorite foods on which I enjoy eating melted l cheese. 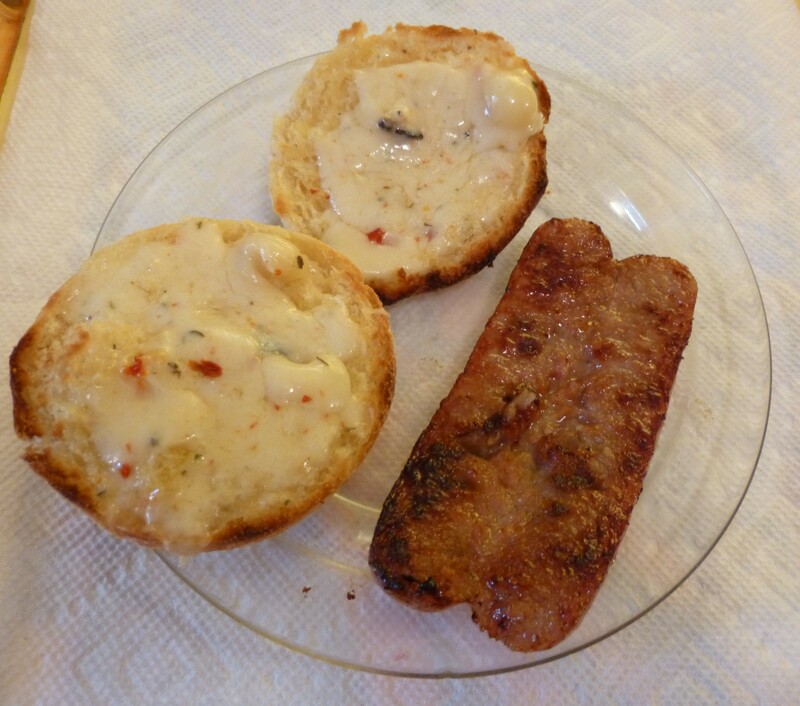 On a chilly Saturday afternoon I made this lunch of melted Raclette on a toasted English muffin, served alongside a grilled chicken apple sausage. It was the most delicious lunch. You almost cannot do better than this. It follows that Raclette makes insane grilled cheese sandwiches. 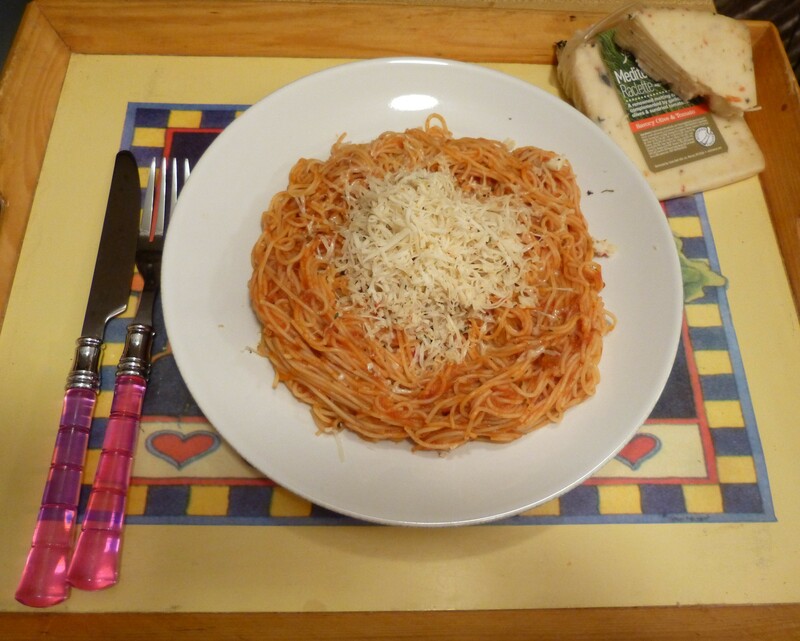 I enjoy eating pasta and it is easy to make at home. Raclette is an ideal substitute for the standard go-to pasta toppers such as mozzarella or parmesan cheese. Raclette crumbles very well; good to know if you do not feel like washing your cheese grater (hereon.biz electric cheese graters guide can be a useful one). 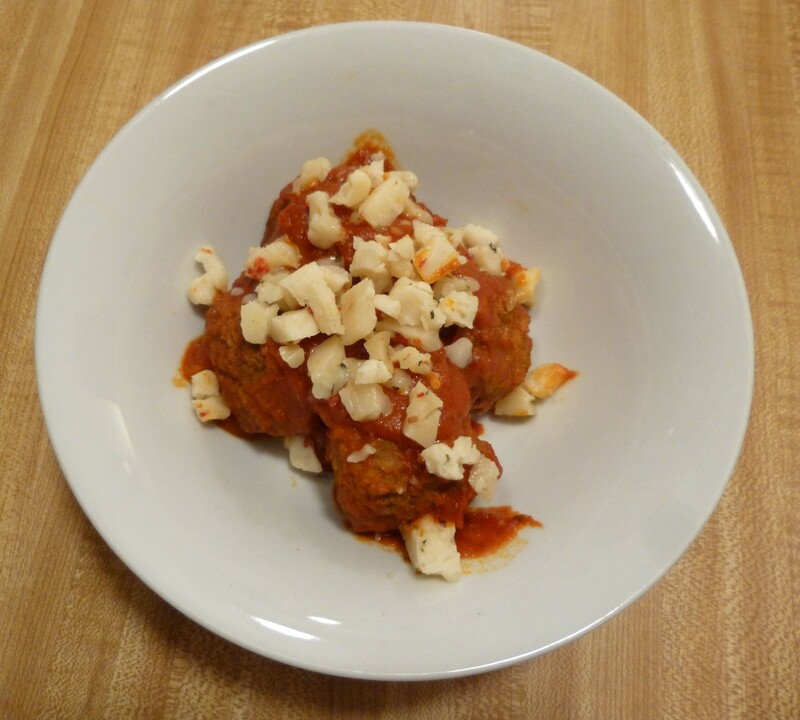 Here are some meatballs I made with sauce and Raclette cheese crumbled on top. Delish! The bottom line is that Raclette is simply delicious cheese and you surely will be thrilled with its taste and texture should you choose, like me, to just be a cheese purist. If you care to be a bit more adventurous, however, Roth’s website has lots of delicious recipes for cooking with Raclette cheese that you can explore at This Link! Buy Roth Raclette Cheeses online or find a retailer in your are Right Here.